Wikipedia picture of the day on March 9, 2018: A U.S. Air Force Boeing C-17 Globemaster III T-1 flies over Owens Valley to Edwards Air Force Base, California, after 208 days of life-extension modifications in San Antonio, Texas. 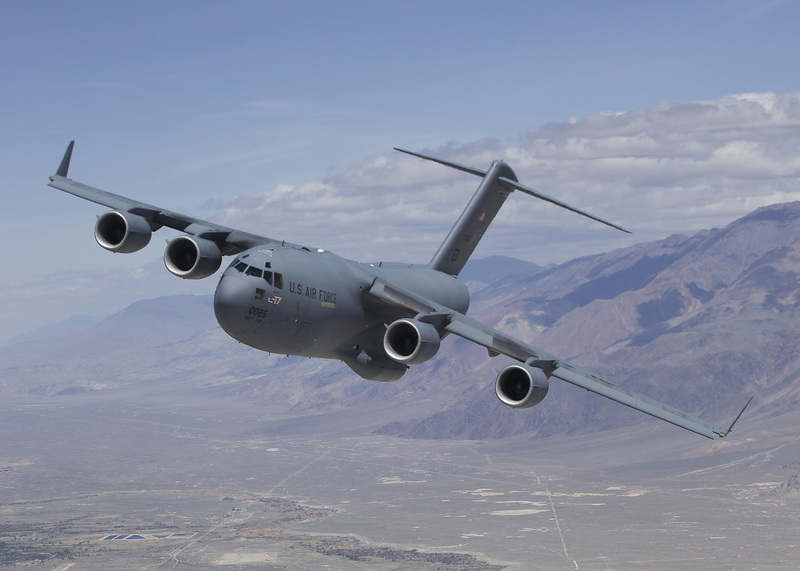 The T-1 is the first Air Force C-17 built to perform developmental testing. Wikipedia"